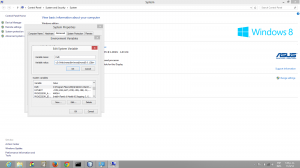 Note: this post is about installing Symfony in windows with wamp if you work with Linux you can use this material. and if what you want is to move an app from development to a production environment, you need to do this. 1- Install WAMP server 32 bits. Get wamp from here. Because of some incompatibilities with some versions of cache accelerators for php 5.4 64 bits it’s preferable to install the WAMP server 32 bits version. I have had problems to make the 64 bits work, but I can not 100% confirm it was because of incompatibility. 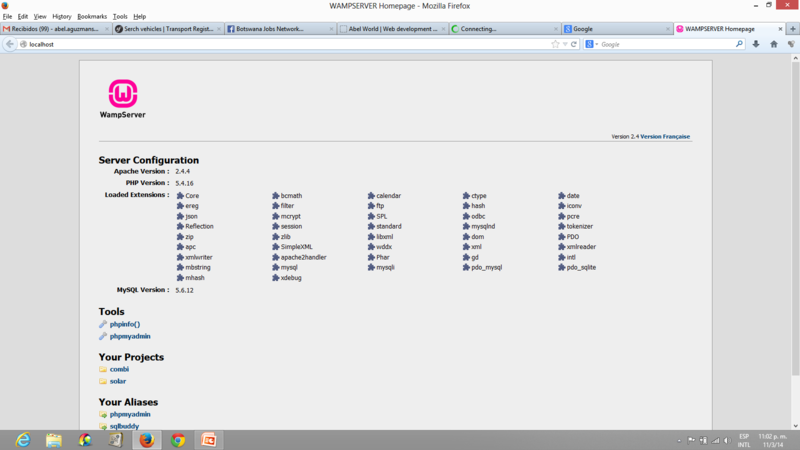 I have installed wamp 32 bits latest version in: D:\Web\wamp. You can install it where ever you want, even the default path is a nice place for most people. Before installing wamp you need to make sure you have installed Microsoft Visual C++ 2010 Redistributable, if you do not have it you can get the the version for 32 bits Windows from here, and for 64 bits from here. 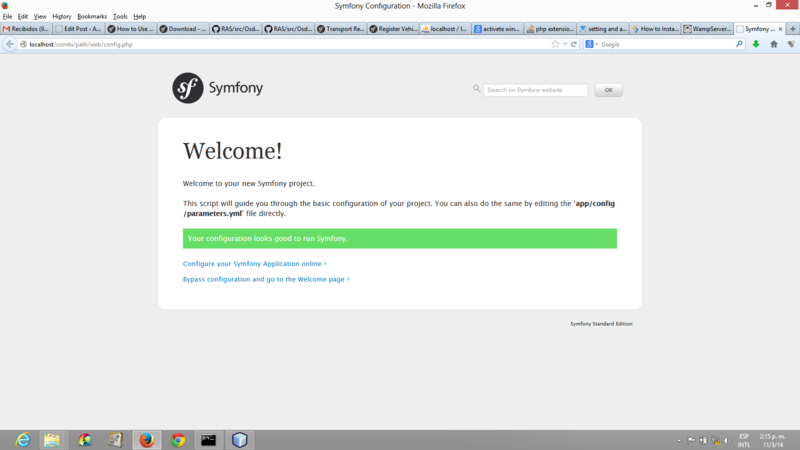 we need to install Composer the tool recommended and that we will use to download Symfony from the prompt. Composer recommends to have the php ssl module working. To do that we need to edit the php.ini for cli as when you enter commands in the prompt the system does not run the commands through Apache, so is the cli php.ini the one we need to edit. So edit the php.ini in Your\installation\path\php\php5.4.12\php.ini (the php version might change depending on the version of WAMP). On the file go to the extensions section and remove the ; from the extension for ssl. This let’s composer run secure PHP connections from the prompt. Follow the website installation instructions for Windows. Activate environment variable for PHP, MySQL and Composer once you install it. add to the environment variable called PATH the path to your PHP, MySQL and Composer. If you look closer there is a ; between every path that I specify. And the path is just the route to the executable files of the software that you want to be declared in your environment. In normal conditions you will only have to add the last line. 5- Install a cache manager extension. Normally you can install APC (http://dev.freshsite.pl/php-accelerators/apc/file/details/apc-3114-beta-for-php-54-win72008.html) or Opcache (http://dev.freshsite.pl/nc/php-accelerators/zend-opcache). I have decided to install APC if you have any newer PHP version 5 or newer Opcache is recommended as the default PHP acelerator even incorporated in the default installation. To install APC, first copy the file to the extension_dir (you can find it in your php.ini). Then add the following to the php.ini file. where php_apc_3114_beta_php54_win7-2008.dll is the name of the apc dll downloaded from the URL, and it´s copied in the folder php/ext as I mentioned before. If you want Symfony to use Opcache for this version of PHP, it should be something like this in you php.ini file. As we also have Xdebugger by default in WAMP we need to put the configuration before the xdebugger configuration in order for it to work otherwise it will not load. 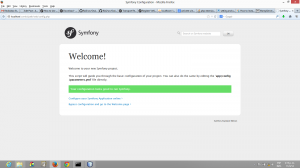 7- download and deploy de Symfony framework. -Open a command prompt and load the path to the install files, normally something like c:/wamp/www/project or in my case D:\Web\wamp\www\combi. -Open your command prompt (CMDor any other you prefer) and load the folder where you have installed. Have the forder for your project to do that you can use the commands cd, mkdir, etc. Remember to change the parameter to fit in your network. username, password,proxy server name and domain or IP and the proxy port. Under normal circumstances if everything went well you should get something like the picture, otherwise, review the step corresponding to the problem. This entry was posted in Development, Symfony, Tips, Windows by abel. Bookmark the permalink. Hi, I love your posts, please keep writing! Great Post. It was really useful. But I had some issues. I installed a wampserver 2.4, 64 bits. 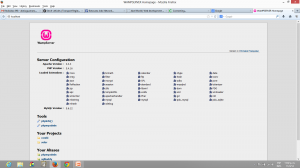 [php.ini] In Wamp there are 2 php.ini files. One in the “\wamp\bin\php\php5.4.12” and one in the “\wamp\bin\apache\Apache2.4.4\bin”. I was working with the php folder one but it was not working. I had to modify the apache one. Hi, thank you for the comment Alex. I did the same thing as you, installed a 64 bits Wamp at the beginning, but I could not manage to find your appreciated and useful link to the APC for 64 bits. So I could not get ride of the error that you are showing in French. Besides “je ne parle pa françe!”, Any way if I have the time, I’ll try to follow it. About the php.ini, there is one that is for Apache, that is the one inside Apache folder. The other one is to use it for the cli extension, it let you create php scripts that run outside Apache for instance in the shell when you call “php -i” so what you add to this php.ini inside the PHP folder is not added to Apache. Thank you for your very smart discovery. 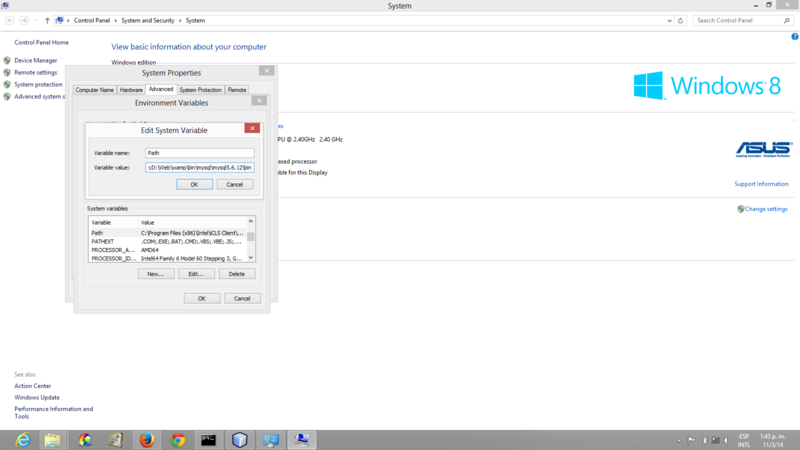 Download your missing dll from Error msvcr100.dll page. Fix your error now! This is and old post. If still viable, feel free to provide a longer description of the service you just posted. I can’t be responsible for what your site contains, nor use windows anymore, but can help spread the word.